When do you decide to go see a therapist? Usually when things have gotten pretty bad - you've lost a friend, you've yelled at a loved one. 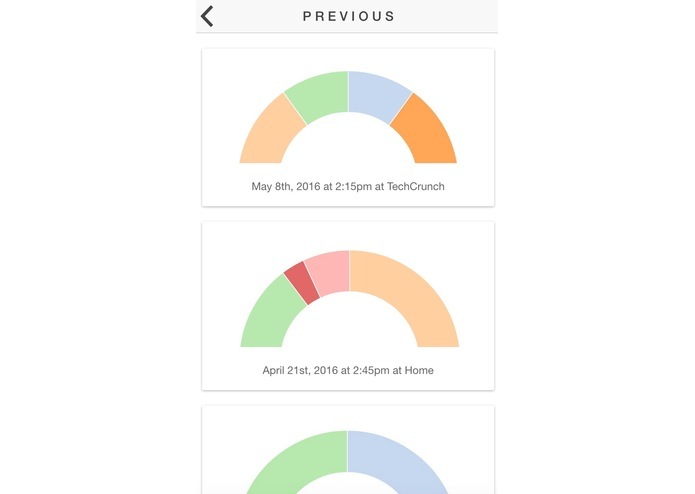 What if you could use an app to track your mental health on the go? 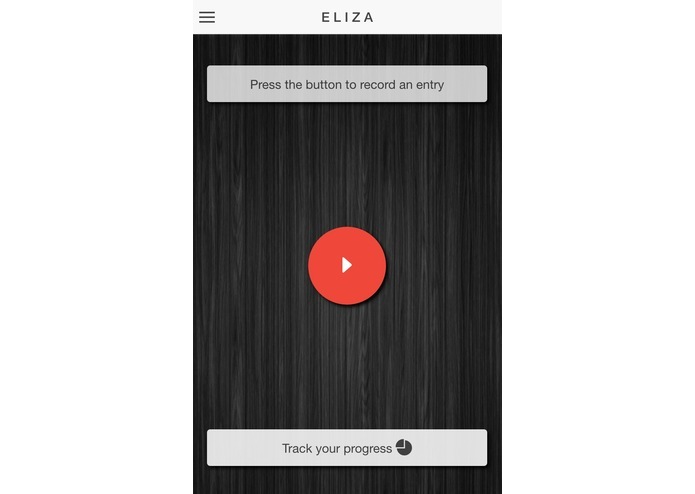 Meet ELIZA - record voice memos from anywhere and let ELIZA do the rest. 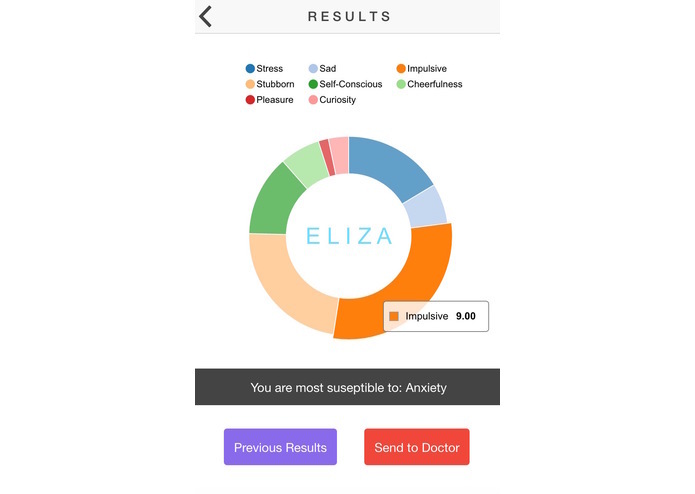 Using IBM-Watson, ELIZA will translate your speech to text and query it to determine your mental state. 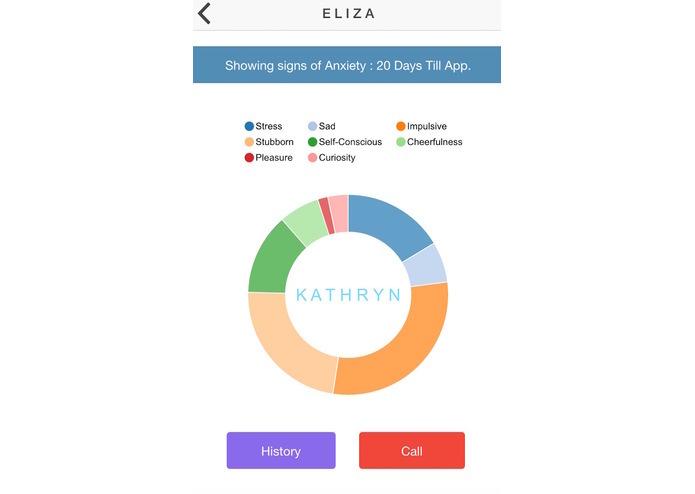 With ELIZA, you can find out more about your emotional health and see if you at risk for a mental disorder. Personal Anxiety + Marsha from "Planet of Storms" (a 1961 Russian Sci-Fi film). In "Planet of Storms," Marsha conveys her thoughts through a voice journal. What if we could get data from what she says? What if we could use that data to help determine if a person is at risk for a mental disorder? Meet E L I Z A. To be able to provide users with a psychotherapist at their fingertips to help track their mental health. Primary: Users who want to just analyze their current mood and detect onset mental disorders if they want to by sending the results to their psychoElizapist. Secondary: Users who have mental disorders. Users are able to confide their emotions through speech where Eliza will translate it into text using IBM Watson’s Speech to Text service. 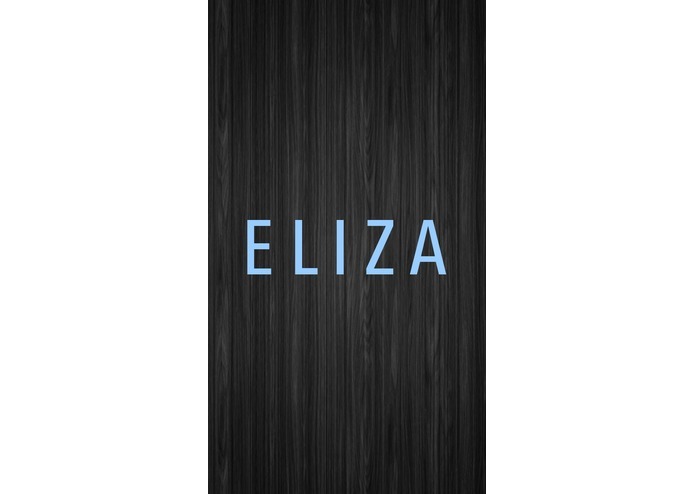 Eliza will use IBM Watson’s Personality Insights to analyze text to understand its sentiment in a relational environment conductive to experimental learning and help build the user’s confidence in their own natural processes resulting in a deeper understanding of themselves. Users will be able to see the results, take quick action based on the response and textual advice, and be able to identify and analyze their emotions specifically over a wide range of spectrum. 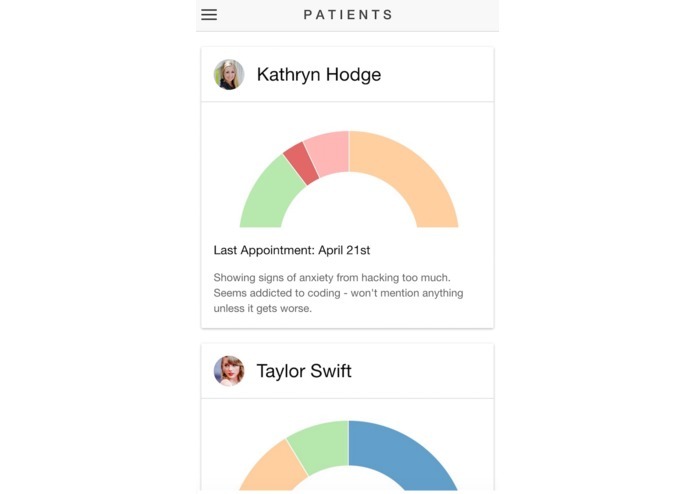 Users will have the option to send the results over to their primary psychologist where the psychologist will be able to diagnose early onset clinical mental disorders and/or recommend medications and future actions. Doctors will be able to see a compiled view of all of the anonymous clients’ data and be able to analyze the Big Data to detect from a macroscopic view how, why, when, and where people are developing their disorders. Haven't done that yet. Come back in 24 hrs. 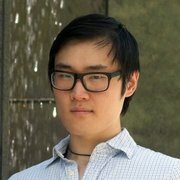 Developed the server-side by creating a restful api using node.js. Utilized Hapi.js to help make it restful and MongoDB as database. Integrated Watson's Speech to Text and Personality Insights in the robust engine I developed to help detect mental disorders based on the sentiment analytical data (very inaccurate at the moment). Also, Integrated Twilio within the back-end for texting communication. Came up with the idea and Kathryn helped refine it. Integrated restful pipelines in the Ionic front-end to the D3.js graph and to upload data from the server.